HOUSTON (KTRK) -- Friends and family packed a chapel at Prairie View A&M Tuesday night in memory of Sandra Bland, the woman who died in her jail cell three days after her controversial arrest. Bland's mother and sister, seated in the front row, addressed the crowd. Her mother said her daughter's case will "change the world." The service came a couple hours after state leaders addressed the media, saying they've asked the FBI and U.S. Department of Justice to help investigate. "We want to make certain that there's transparency," State Senator Royce West (D-Dallas) said at the Tuesday afternoon press conference. "Wherever the facts lead, we want to make certain that no stone is unturned." Officials said they're treating the death of Bland as a homicide, which is standard in jail death investigations. Their findings will be sent to a grand jury, which will ultimately decide if any criminal wrongdoing happened in this case. "We've asked the district attorney that as he presents this case to the grand jury, that that grand jury be ethnically diverse so no one can turn around and say that the grand jury making whatever decision it makes is discriminating," West said. "We want to make certain that there's diversity in that grand jury." Authorities say the 28-year-old Bland hanged herself with a plastic bag three days after being pulled over for a traffic violation and arrested for allegedly kicking an officer during the stop. 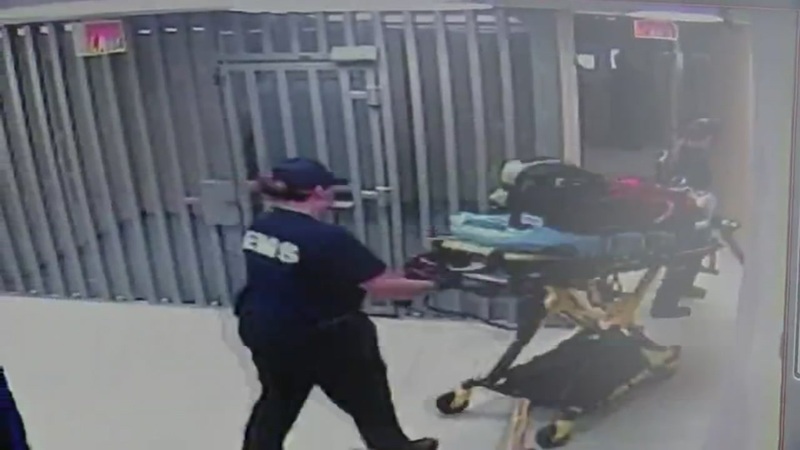 Yesterday, police released video from outside Bland's cell at the time of her death, but some say it doesn't tell the real story. Relatives of Bland have ordered an independent autopsy, their attorney says. The Greater Houston Coalition for Justice is one of several groups asking for an independent investigation into her death. They say they don't trust Waller County DA Elton Mathis to do an unbiased investigation, saying he has a history of selective prosecution. "I guess they're trying to cover their bases," said Johnny Mata with The Greater Houston Coalition for Justice. "And as far as many of us who have dealt with cases out of Waller County, it's suspicious at best." This morning, we received a response from DA Mathis, saying, "I have actually just finished a meeting with the family of Sandra Bland and their lawyer doing work on this case. Very productive meeting. Answered the families questions and their concerns." Below is a breakdown of the case so far. The Texas Department of Public Safety says the state trooper who pulled her over planned to give her a written warning, but she became uncooperative and argumentative. She was arrested and taken to the jail in Hempstead, about 60 miles northwest of Houston. She was still incarcerated, awaiting posting of bond, when she was found dead July 13 in her cell. A medical examiner ruled her death a suicide caused by asphyxiation. Sheriff's Capt. Brian Cantrell says a plastic garbage bag, used to line a trash container in the cell, was used as a ligature by tying it to a partition to a bathroom in the cell. The bag had been approved for use in the jail by a state jail inspector, Cantrell said. Family members and friends insist Bland was looking forward to a new job at her former school and that she gave no indication she was in such an emotional state that she would kill herself. Family attorney Cannon Lambert says some relatives believe she was killed, and they are seeking more information. However, Bland had posted a video to her Facebook page in March, saying she was suffering from "a little bit of depression as well as PTSD," or post-traumatic stress disorder. Friend and mentor LaVaughn Mosley of Prairie View believes Bland was just venting after a bad day. Waller County District Attorney Elton Mathis says the case is being examined as thoroughly as a murder investigation. He said no cameras were in the jail cell where Bland was found dead. 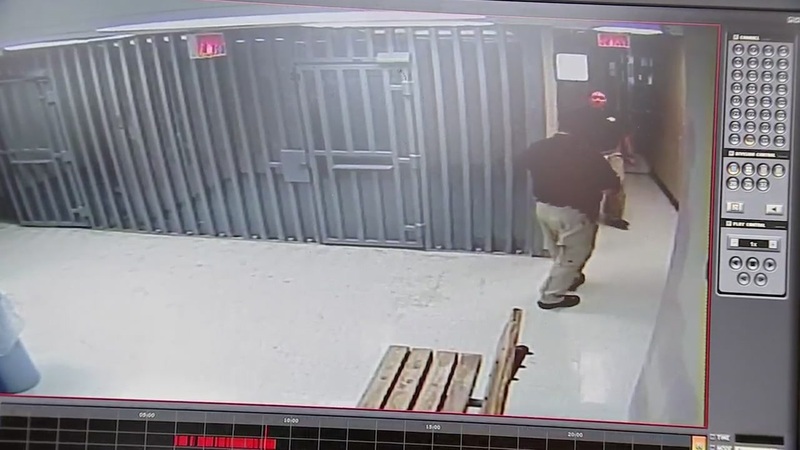 A video from a camera monitoring the hall outside her cell shows no one entered or left it between the time she last spoke with deputies through an intercom system, asking about making a phone call, and when her body was discovered about an hour later. The hard drive containing the original video has been turned over to the FBI to examine for any manipulation. Mathis has also ordered forensic testing of the cell. The Texas Department of Public Safety says the trooper who pulled Bland over violated traffic-stop procedures and the department's courtesy policy. The trooper is on administrative leave pending the outcome of an investigation. A video from the trooper's dashcam was expected to be released Tuesday. Mathis said it would show a restricted view of the stop because the officer's car was pointed directly ahead and much of the activity was inside Bland's car and then to the side. Authorities said it was possible Bland was texting, or sending an email or trying to record the trooper on her cellphone. The phone also has been turned over to the FBI. Mathis said it was "not a model traffic stop ... and it was not a model person that was stopped on a traffic stop." The Texas Rangers and the FBI are investigating. The county district attorney has said the matter will be turned over to a grand jury, which does not meet again until August. Sandra Bland died in the Waller County Jail last week. Her death has been ruled suicide. Getting pulled over: Do you know your rights?